Phylicia Ghee, interdisciplinary visual artist & photographer, was born in Baltimore, MD. Ghee received her BFA in Photography with a Concentration in Curatorial Studies from Maryland Institute College of Art (MICA) in 2010. Taught by her Grandfather at a very early age, her background in painting and illustration began to cultivate a growing interest in experimenting with different mediums. Ghee’s artwork documents transition, explores healing, ritual, ceremony & personal rites of passage. While photography & performance are central to her work, Ghee also works in video, fibers, mixed media, installation & painting. 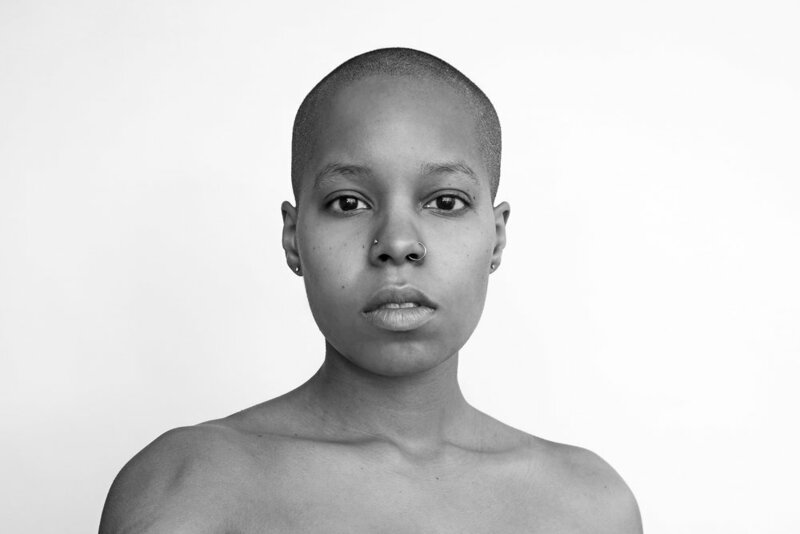 Ghee has curated and developed numerous exhibitions, events and public programs throughout Baltimore centered around issues of identity, healing and community.. She has also exhibited her work at various galleries and museums throughout the Baltimore-Washington Metropolitan Area and beyond. Some of these locations include The Baltimore Museum of Art, Galerie Myrtis in Baltimore MD, The Egyptian Embassy in Washington, DC, The Margulies Warehouse in Miami, Florida, Studio Art Centers International in Florence, Italy, and The Reginald F. Lewis Museum of Maryland African American History & Culture, where she was commissioned to create a large mixed media quilt for the museum’s private collection.